Expect the anti-Christian left to go all giddily gleeful over the April Fool’s Day date of Easter this Sunday. What a juicy opportunity for the God deniers to amp up their full-throated mock-fest against Christians as gullible morons. Deluded idiots who believe against all reason in a God who callously sacrificed his own Son in order to arrange a heavenly reunion with His followers. All we Christian fools have got is faith, they scoff, and faith is nothing but empty, irrational hope. These deep thinkers have their own faith that they insist relies on the holy writ of reason and science. Reason and science lead them to their catechism: that life began from primal stirrings of an inorganic hot mess that through lucky trial and error “evolved” itself into complex critters like tarantulas and lobsters and elephants and, eventually, human beings. Just don’t ask where the hot mess originally came from. Their version of reason is to believe by faith that a whole lot of something can come from absolutely nothing. And they call this science? To be fair, there are some God-deniers who do have an explanation of the origination of life on Earth. Sort of. Celebrated DNA discoverer and Pulitzer Prize winner, the late molecular biologist Francis Crick, along with his colleague the late biochemist Dr. Leslie Orgel among others, argued that life developed from seeds spread here by extraterrestrials from an advanced civilization possibly via spaceship. So the entire planet is an experiment in horticulture. And more recently British professional atheist, evolutionary biologist, and self-anointed “brilliant” Richard Dawkins, joined them in promoting this theory, called “panspermia,” which is Latin for “we’ll go to any wacky lengths to avoid the obvious truth of God the Creator.” It takes a real genius these days to tell science fiction from science. And these are the very same high-forehead gang as the “scientists” who every Easter pen their splendidly-articulated trashing of Christians as hopeless optimists hooked on an elaborate mythology of a God who loves them. But as outlandish as the Easter story may seem — God coming down to earth in a man-suit as Jesus Christ to reconcile us fallen humans with Him — that panspermia theory certainly beats Christianity for sheer wild-eyed fiction. Bigtime. Christianity-bashers are also fond of dismissing the Bible as elaborate fairy tales with no basis in fact or history. The marvelous science called archaeology has proved them wrong. Excavations validating the Biblical text have identified hundreds of artifacts, events, ancient place names, and the historicity of individuals such as Herod and Pontius Pilate who figure in Jesus’ story, as well as Jesus of Nazareth Himself. The Popular Handbook of Archaeology and the Bible by Joseph M. Holden and Norman Geisler is a fascinating trove of these discoveries. There is a factual foundation on which Easter and thus Christianity rests; that the Biblical account is true of Christ’s death as a willing sacrifice by God Himself (as Jesus) so that we could enjoy eternity with Him in Heaven. The philosophical foundation of Christianity is much harder for some to believe than the resurrection miracle itself: that the God who created the heavens and the earth is so crazy about humanity that he arranged this reunion with us at great personal expense and physical pain. But how do we know that the miracle of Easter actually happened? How do we know the disciples weren’t just inventing a sensational tale that the man they had followed for three years and seen murdered on the cross, after being entombed had conquered death by rising again to life? How do we know that Jesus appeared to them 12 times in the weeks after his “death,” and ate with them, and made them breakfast on a Galilee beach – how can we believe? The most convincing proof, apart from the first-person accounts of the disciples at the time, may be the dramatic change in His followers who had fled the gruesome scene of Jesus’ crucifixion, their world and their hopes torn apart. But afterwards, when they had seen him, they were instantly transformed from sniveling cowards to bold evangelists. As they walked and talked with the risen Christ, ate with him and examined the wounds on his hands and side, their emotions turned from despair to overwhelming joy. His last instructions before he ascended into Heaven were to preach the gospel to all the world. This fragile band of believers became a determined, courageous army that traveled to take Christ’s message throughout the ancient world. The Word would ultimately spread until even in our era, Christianity is the leading religion on the globe with more believers than any other. Their faith was rooted in reason, as ours is today. All of the disciples except John were eventually murdered by the brutal pagan despots of the time. Many will give their lives for a lie, but who will risk death for a lie they know is a lie? 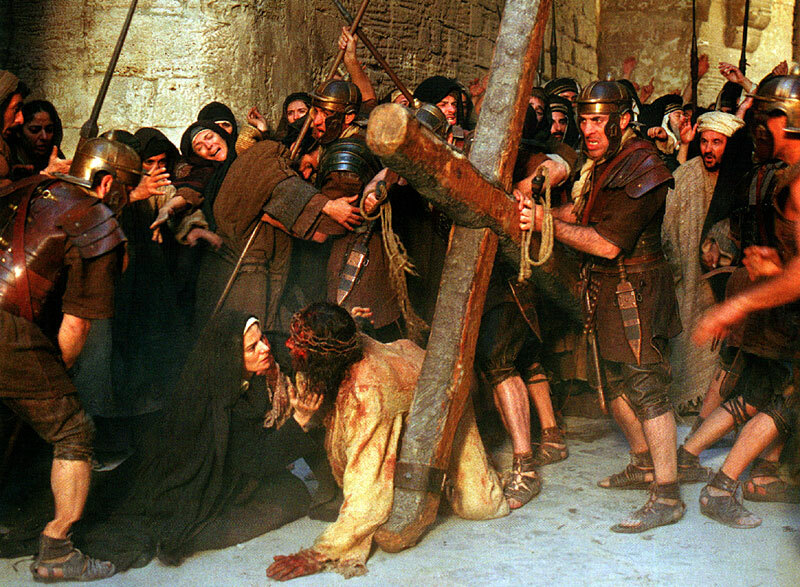 During Holy Week, we remember the final days before Jesus’s crucifixion. The road Jesus traveled to the cross through the streets of Jerusalem is known today as the Via Dolorosa, the way of sorrows. But the writer of Hebrews viewed the path Jesus took as more than just a path of sorrows. The way of suffering that Jesus willingly walked to Golgotha made a “new and living way” into the presence of God for us (Hebrews 10:20). Jesus, thank You for walking the way of sorrow and making a way for us to be reconciled to God. For centuries the Jewish people had sought to come into God’s presence through animal sacrifices and by seeking to keep the law. But the law was “only a shadow of the good things that are coming,” for “it is impossible for the blood of bulls and goats to take away sins” (vv. 1, 4). Jesus’s journey down the Via Dolorosa led to His death and resurrection. Because of His sacrifice, we can be made holy when we trust in Him for the forgiveness of our sins. Even though we aren’t able to keep the law perfectly, we can draw near to God without fear, fully confident that we are welcomed and loved (vv. 10, 22). Christ’s way of sorrow opened for us a new and living way to God. Christ’s sacrifice was what God desired and what our sin required. In Romans 3:9–23 Paul describes how we are all sinners. Because of our sins we deserve God’s wrath (1:18). But God showed us how much He loved us by giving His Son to be the “sacrifice of atonement, through the shedding of his blood” (3:25). We are all “justified freely by his grace through the redemption that came by Christ Jesus” (v. 24). Even though we still sin, we are justified, reconciled, and sanctified. Through the power of the Holy Spirit, who dwells within us, we can live holy lives. Sometimes when people are estranged, they need a mediator who comes between them to bring reconciliation. This is one way to think of the Old Testament priests. They stood between God and sinful man, offering sacrifices that would reconcile the two. These earthly priests were a mere shadow of Christ, who came as both the Lamb of sacrifice and the final high priest. God’s Son left heaven to become flesh and blood so He could offer His life on the cross (Phil. 2:6-8). In that way, Jesus set free from sin and death all who believe in Him. Our Savior was the perfect mediator. Because Jesus was fully God, He was the spotless Lamb the law required (Deut. 17:1). And because He was fully man, it was possible for Him to die. Unlike the earthly priests who repeatedly brought animal sacrifices for themselves and the people, Jesus offered Himself once for all to the Father in payment for the sins of mankind (Heb. 7:27). 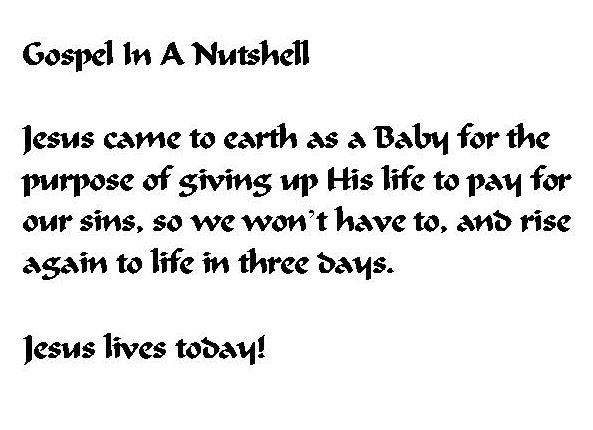 Then, having satisfied God’s justice with His blood, He was raised to life. Death did not end the Savior’s role as our High Priest. After the resurrection, Christ ascended to heaven, where He sits at the Father’s right hand and intercedes for us. Having lived on the earth as a man, He understands our weaknesses and gives mercy and grace to help us in times of need (Heb. 4:16). There’s great comfort in knowing we have a merciful advocate in heaven. His prayers are according to God’s will, so we also have the assurance that the Father will answer every intercession Jesus makes on our behalf. The Greek word ephapax translated “once” in this verse actually means “once for all.” Christ did not have to die again and again, a new death for every sinner. 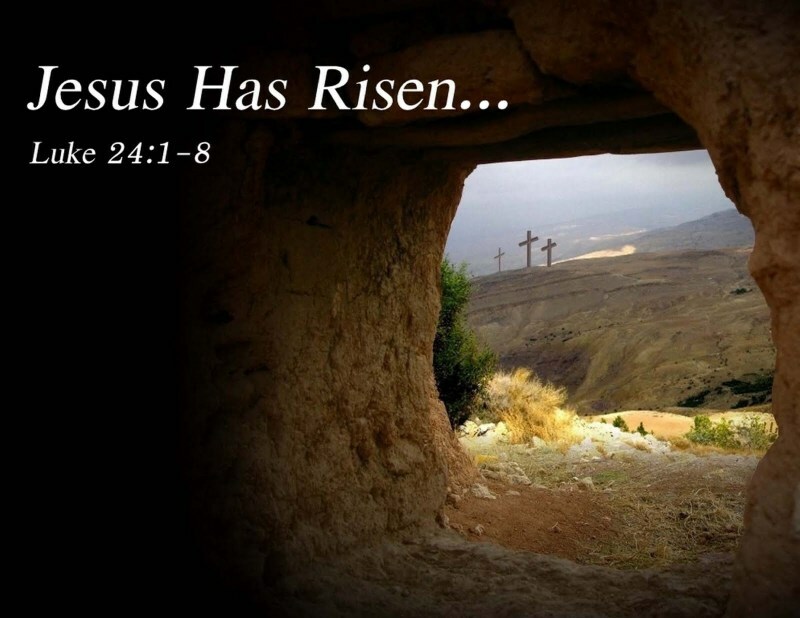 He died unto sin once for all, His death being sufficient to take away “the sin of the [whole] world” (John 1:29). The word ephapax occurs only five times in the Bible. Our text is the first, confirming that His once-for-all death for sin was sufficient forever; He now lives wholly “unto God.” The second confirms the reality of this permanent resurrection. In Jewish law, a factual claim was considered confirmed by the principle that “in the mouth of two or three witnesses every word may be established” (Matthew 18:16). Paul recalls that the resurrected Christ “was seen of above five hundred brethren at once” (1 Corinthians 15:6). Two or three would have sufficed, but He had five hundred witnesses. These saw Him alive once for all, and their lives were forever changed. The other three references are in Hebrews: “[He] needeth not daily, as those high priests, to offer up sacrifice, first for his own sins, and then for the people’s: for this he did once [that is, ‘once for all’], when he offered up himself.” “Neither by the blood of goats and calves, but by his own blood he entered in once [‘once for all’] into the holy place, having obtained eternal redemption for us.” “By the which will we are sanctified through the offering of the body of Jesus Christ once for all” (Hebrews 7:27; 9:12; 10:10). As the priests commenced their service at thirty, it was probably at that age that John began publicly to teach. He commenced with a message most appropriate to the coming of the Saviour. He was dressed as Elijah had been, and lived a self-denying, ascetic life, in keeping with the ministry of repentance. All ranks and classes came to him; he stirred the whole south of Palestine with his energetic ministry. To all men he addressed suitable words of rebuke and warning. He bade them lay aside their boastings, and seriously give themselves up to repentance. This bold address would be sure to make them very angry, but John, like Elias, feared them not. There was to be an end of all pretence and hypocrisy. For many years formalists and boastful professors had been great in Israel; the new dispensation would destroy all this, and require truth in the inward parts. Thus the forerunner pointed to the Coming One, and bade the people look for one who in the power of the Spirit would scatter to the winds all the vainglory of learned Sadducees and boastful Pharisees, by proclaiming a spiritual religion in which repentance and faith would far outweigh external religiousness. Perhaps six months after John had commenced, when Jesus would be himself thirty years of age. Our Lord came after the people had been baptized, and offered himself for baptism. Jesus would set an example to all his disciples, and would in a figure set forth his own sufferings, death, burial, and resurrection, in which all righteousness is comprehended. Thus while in the act of prayer, and while yielding obedience to his Father’s will, the Lord received his first great public attestation from above, and the anointing with which he should discharge his work. Let no believer neglect the ordinance which his Lord so highly honoured, lest he lose some special sealing and anointing. That’s worthy of my God? And all the shame despised? With thee to be baptized? Which Cross Do You Prefer To Carry? No care, but all prayer. No anxiety, but much joyful communion with God. Carry your desires to the Lord of your life, the guardian of your soul. Go to Him with two portions of prayer, and one of fragrant praise. Do not pray doubtfully, but thankfully. Consider that you have your petitions, and therefore thank God for His grace. He is giving you grace, give Him thanks. Hide nothing. Allow no want to lie rankling in your bosom; “make known your requests.” Run not to man. Go only to your God, the Father of Jesus, who loves you in Him. This shall bring you God’s own peace. You shall not be able to understand the peace which you shall enjoy. It will enfold you in its infinite embrace. Heart and mind through Christ Jesus shall be steeped in a sea of rest. Come life or death, poverty, pain, slander, you shall dwell in Jesus above every ruffling wind or darkening cloud. Will you not obey this dear command?